Episode 3 featuring Foxhunt is ready for your listening pleasure… You’ll find the show notes/ highlights below! Foxhunt enjoys making whatever he feels like making but a lot of his output can be considered “Complextro” - a genre that can be hard to define with some strong opinions on what does or does not fit. NB: it’s well worth checking out Foxhunt’s Complextro production tutorial for a clear and concise video introduction to the genre fundamentals. Rather than any specific artist, Foxhunt’s gateway into producing was RPG Maker. Around 2010, he was spending a lot of time making “bad” RPG games and wanted music to go with them … he ended up enjoying the music production more than game-making and went from there. In terms of musical background, Foxhunt plays the piano/ keyboard and also the Otomatone … a truly fascinating-looking device. Foxhunt was never a DJ before getting into production and while he can DJ, he prefers to do other things than just mix in a live situation. To relax, Foxhunt enjoys listening to game OSTs, as well as music made by friends. He also likes uncovering some of the many solid, under-supported producers that exist on SoundCloud. Foxhunt has a side-project (Kiro) that he uses for experimentation without people questioning what he’s doing. The Tempest was one of his earliest complextro tracks and Impretor was originally going to be a Kiro release. “What would you tell a younger you today”? … Foxhunt thinks this a difficult question because there’s a lot! The best advice is probably “listen to feedback more” because he believed everything he was doing sounded great … and it didn’t. Take what people are telling you and use it. NB: Foxhunt runs a great and helpful feedback stream every other Thursday on his Twitch channel. The next one is on March 15, so check it out! The best experience of Foxhunt’s musical journey so far is producing “Technical Difficulties” (see below for more info) but he feels the best is still to come. As he see’s it, the longer you work at producing, the better you get, the more people notice and the more fun you have doing it. 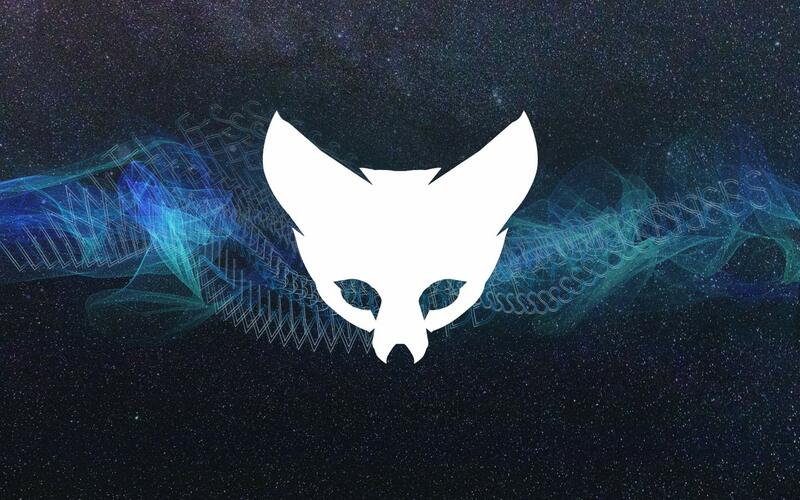 Foxhunt’s approach to Complextro is to treat it like Progressive House: iterate on one section over and over again, adding more and more layers. A good example of this approach is his track Fruit Cocktail. FL Studio is Foxhunt’s DAW of choice. He tried an earlier version of Bitwig and has played around in Ableton Live but finds the pattern-based workflow of FL Studio fits the type of music he makes best. In terms of software synths, Foxhunt uses Xfer Serum for the majority of his sounds. He has also been playing around with the YM2612 Sega Genesis sound-chip emulator. The Moog Voyager is Foxhunt’s dream piece of equipment. He feels that no one has yet recreated the warm sound of the filters and so he wants one just for the filters! To deal with creative block, Foxhunt just relaxes (e.g. by listening to game OSTs) and lets things sit. He also goes back to old projects to cannibalise them for useful ideas and emphasises that you should never throw away old projects! Another useful tip for dealing with a creative block is to create random presets - once you have a stock of these, it means that when you sit down to produce you avoid the “sound design hurdle” that can be hard to overcome at times. Foxhunt is most proud (so far) of Technical Difficulties, an album that was recorded and mixed live in collaboration with fellow UK producer Moki. Moki and Foxhunt met at college in real life. Foxhunt took Moki under his wing to help him develop his sound because he saw he had a lot of potential. Technical Difficulties came about because Foxhunt and Moki were booked to play the closing party of a convention and after meeting several times to decide an approach, ended up creating backing tracks that they could drop synth solos and parts from other songs onto. The album was performed using two laptops: Foxhunt (using Fruity Loops Studio) was in charge of triggering backing tracks, mixing and hardware synth solos; Moki (using Ableton Live) was in charge of the improvisational side. Moki’s laptop crashed 5 times during production … he has a new laptop now. The vocal sample was definitely a key basis for the track. Foxhunt enjoys sourcing really old spooky movies and this came from some (forgotten) 1950s horror movie. The sample was a lot longer but was cut down to avoid copyright issues. Once he had the sample, he designed the theme and tone of the track around it. He notes that getting such a dark feel in a track isn’t about a specific key, or chords but is more about the overall sound (and atmosphere). Serum is used for pretty much all the synths on the track, though there are one or two sounds from Native Instruments’s (NI’s) Reaktor. To achieve the weight and punch in his bass sounds, Foxhunt feels FL Studio’s Soundgoodizer is a great saturation tool that a lot of people underestimate. Serum’s distortion unit is also powerful and the fact it includes OTT as it’s multiband compressor is very useful. Finally, he may use frequency modulation, depending on what suits the track. The guitar solo on the track is actually Serum being fed into NI’s Guitar Rig, a great plugin even for non-guitar sounds. Foxhunt feels that while NI’s Massive is a bit outdated, a lot of their other output is really strong and worth investing in. For the track mix-down, Foxhunt mixes as he goes. In his view, with EDM, if you leave mixing until the end you have too much work to do. Also, as you’re designing your sounds, you may as well design them to fit from the start. There are plenty of industry tips out there on how to get your mixes sounding “good” but once you have absorbed those it comes down to learning to “use your ears”: if it sounds good, then it is well mixed, otherwise you need to go back and try a different approach. Foxhunt sees mastering as his weakest element. He isn’t very familiar with iZotope Ozone and has always used FL Studio’s Maximus - while Ozone may be the better choice, he’s comfortable with Maximus and will continue to use it. Mastering varies on a track-to-track basis but usually includes light compression and saturation and no limiting of the master. Foxhunt allows his tracks to clip because he has noticed that limiting leaves some weird artefacts, especially in really heavy electronic music. Subtle clipping, if done with care, sounds more pleasurable. Slayde for this episode’s “musical interlude” … and inspiring, continual growth as a producer.